Made in the same manner as AA59569 (formerly QQB575) braid. Manufactured to provide shield coverage of 90% minimum (70% for .078" and smaller) at the nominal diameters specified. We stock Type 304 (non-magnetic) stainless steel. 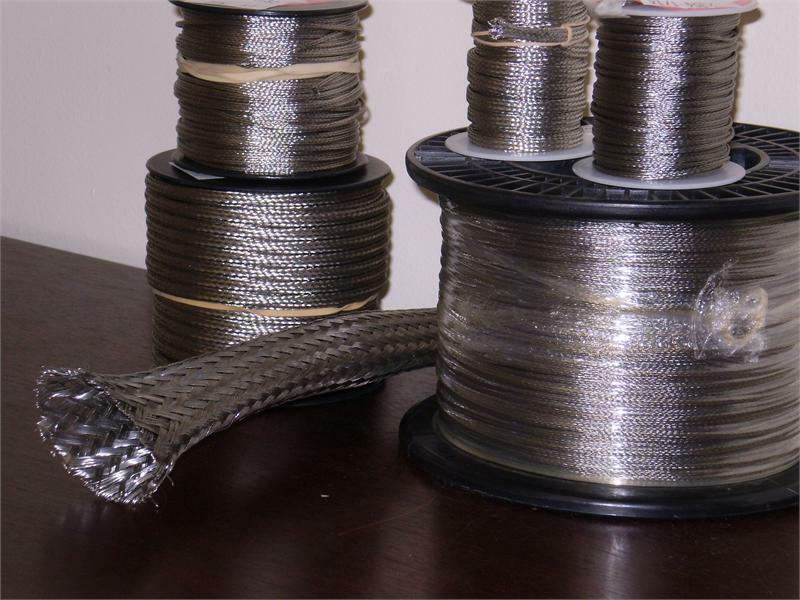 Type 430 (magnetic) stainless steel wire is available to order. Please call for quote for Type 430 stainless steel. Stainless Steel braids are ideal in corrosive or abrasive environments and high temperature applications. Additional constructions and variations are available to order. Also available in Silver Plated Copper, Bare Copper, Nickel Plated Copper, Tubular Tinned Copper, Flattened Tinned Copper, and Oval Tinned Copper.